That tweet Monday from Ann Coulter was just one in a scathing series of messages the conservative author posted to insult former House Speaker Newt Gingrich for his support of President Trump’s handling of the border wall and government shutdown. Just last week, Coulter called Trump the “biggest wimp ever to serve as president” after he reopened the government despite no funding progress to build a barrier on the U.S. border with Mexico. “Ann Coulter’s never run for office,” Gingrich said. “She doesn’t know anything about how you put a majority together. She’s off here in some fantasyland where she gets to be noisy, which helps her sell books. 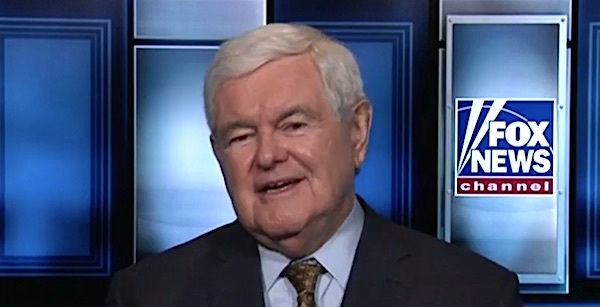 Newt Gingrich claims I’m in “fantasyland” for criticizing the president for breaking his central campaign promise. It has now come to my attention that Trump HAS built the full border wall & it’s working BEAUTIFULLY. That is why Trump is sailing to re-election! Coulter had been one of Trump’s staunchest defenders, even writing a book titled “In Trump We Trust.” But her support has turned to fierce criticism over the lack of a border wall promised by Trump numerous times during his campaign. “Maybe I didn’t return her phone call or something,” the president added. The post It's war! Ann Coulter goes nuclear on Gingrich, Trump appeared first on WND.